Located on the Pacific Ocean beside the coast mountains, the City of Vancouver is the largest city in British Columbia and one of the largest in Canada. Recognized as one of Canada’s top 100 employers, one of British Columbia’s top employers, and one of Canada’s best Diversity Employers, it serves a population of almost 700,000, has an annual operating budget of $1.5 billion, and has 10,000 staff. The City of Vancouver provides municipal government services to businesses and residents in one of Canada’s most innovative and greenest cities. 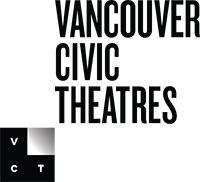 Reporting to the General Manager, Arts, Culture and Community Services, the Director, Vancouver Civic Theatres is accountable for strategic and operational leadership of the City’s premier performing arts venues. 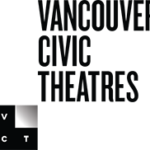 The Director, VCT is responsible for establishing and implementing a business-driven operating model that balances the needs of the local not-for-profits, including the performing arts community, and commercial presenters, with the responsibility to provide outstanding services to audiences and patrons, as well as value to Vancouver’s taxpayers. As the ideal candidate, you bring 10+ years of progressive responsibility managing the operations of a Performing Arts venue and leading a diverse unionized team. As a strong business manager and an outstanding people leader, you have developed cultural infrastructure that both build communities and is financially sustainable. Experience that includes working in the not-for-profit and private sectors, with diverse cultural communities, and/or with national / international promoters and presenters is preferred. The role is located in Vancouver, British Columbia. The City of Vancouver is committed to culture and the pivotal role it plays in community building. This is an opportunity to join a culturally forward and innovative city and truly make your mark. To explore this opportunity further, please click here.